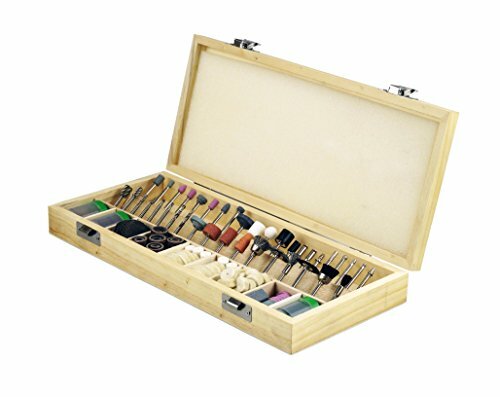 For this post, I have put together a collection of the best rotary tools currently available. The size and versatility of a rotary tool makes it an indispensable tool for do-it-yourselfers, contractors, electricians, plumbers, remodelers and more. This tool provides the user access to thousands of cutting, grinding, sanding and polishing solutions. The following rotary tools use the latest innovative components to meet your needs and help to ensure you do your best work. The Dremel 4300 is the first Dremel rotary tool to allow tool-less and collet-less accessory changes with the inclusion of the three-jaw chuck. Chuck accepts all Dremel accessory shank sizes for fast and convenient accessory changes without ever using a wrench. Featuring the all new Pivot Light, your projects are well-lit with an optimum line of sight since the light pivots to direct illumination where you want it. 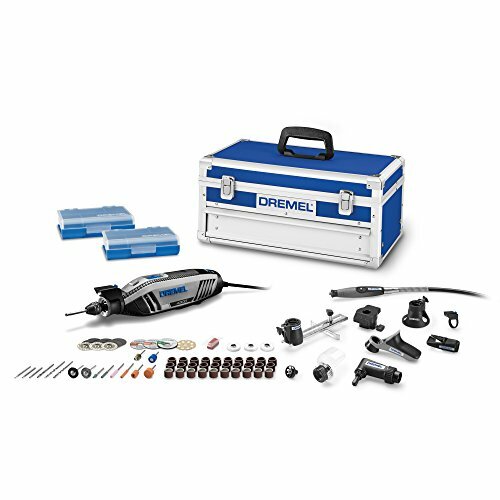 Dremel's most powerful motor with built-in variable speed and electronic feedback circuitry. Slim, ergonomic body design provides a comfortable 360-degree grip zone no matter how you hold it for extended ease of use. The completely redesigned airflow system lets the Dremel 4300 run cool, quiet, and smooth so completing projects are more enjoyable than ever. Motor facilitates maximum performance at all speed levels. 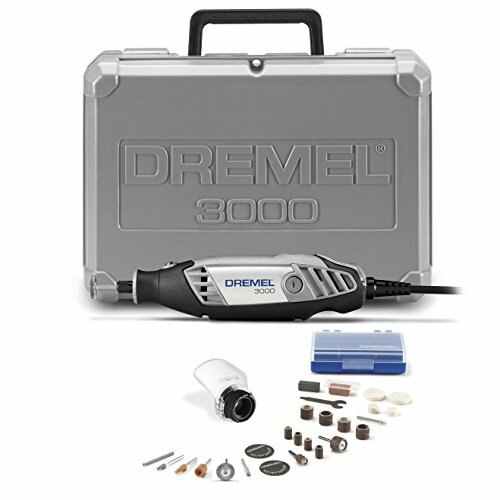 Ability to use all existing Dremel accessories and attachments let the Dremel 8220 complete a wide range of projects. A slim ergonomic body provides a 360-degree grip zone for control in any position. 33-percent longer run-time than the Dremel 8200 cordless rotary tool when cutting screws. A durable and compact design for your rugged jobs. Change between bits fast & easily without a wrench. For safety & ease, the tool features a turn-on/bump-off switch allowing you to easily shut tool off. The slim package packs a punch with a 5.0 Amp, 30,000 rpm motor providing more cutting power. To help battle dust infiltration, the tool features a sealed motor and switch, a must for any serious drywall tool. It also sports a quick-and-easy, tool-free bit-changing system and comes with both 1/8 and 1/4 inch collets. 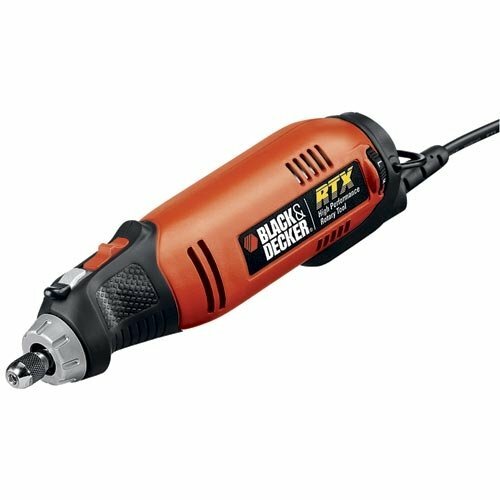 Complete a wide variety of jobs quickly and easily with the Black & Decker RTX-B 3 Speed RTX Rotary Tool with Storage Case. For optimum precision and control, the RTX-B offers three speeds: 12,000, 24,000, and 30,000 rpm. For added ease of use, a separate speed dial provides set-and-forget convenience. Exclusive flip-lock spindle lock system allows for quick and easy accessory changes by eliminating the need to awkwardly hold down a button. Universal collet system, which means it accepts all standard rotary tool accessories currently on the market. RTX-B's rubber overmolded grips provide superior comfort and control to help you maintain a balanced hold. Features the EZ Twist nose cap with an integrated wrench that allows the nose cap to be used as a wrench to tighten accessories and eliminates the need for a separate wrench. A more efficient fan design and side vents provide a cooler running tool making it comfortable for extended periods of use. The tool also features a symmetrical design including a trumpet-shaped nose cap to facilitate a pencil-grip tool hold. 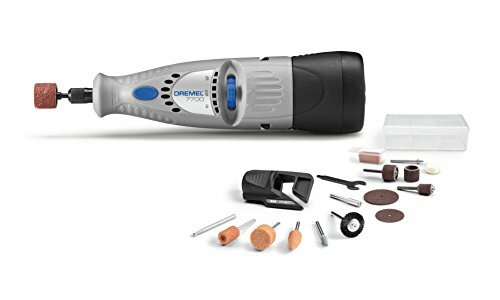 The ability to use all existing Dremel rotary tool accessories. Attachments let the 3000 complete a wide range of applications including cutting, grinding, sanding, carving and polishing a variety of materials. Mechanical collet lock chuck is compatible with any 1/8" rotor bit and doesn't require a key to swap out rotary bits. Made to professional standards and is UL / CUL approved. 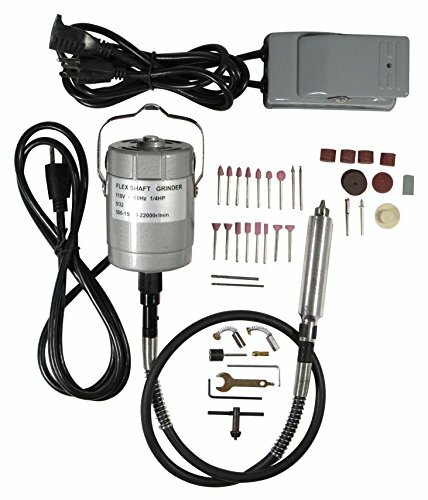 120V electric motor, you can simply plug this portable tool into an outlet instead of needing a heavy-duty air compressor. Speed is adjustable up to 30,0000 RPM (faster than most drills) with 6-stage speed control (using a fine-tune adjustment wheel), allowing precision for all applications. Accessories: 42" flex hose, telescoping vise stand, sharpening block, mini screwdriver / wrench. For better control and accuracy, choose between high speed and low speed. 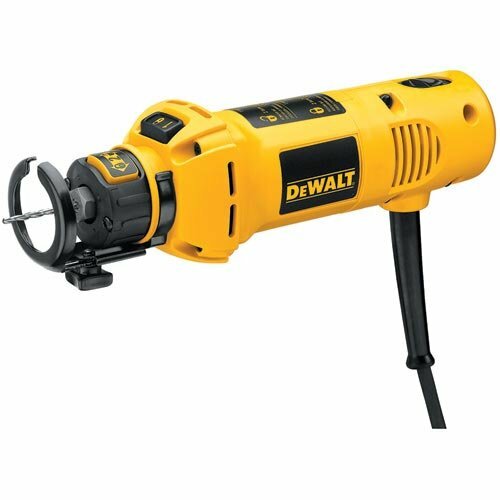 7.2 volts, perfect for tackling light duty everyday projects such as sanding and polishing. Designed for portability and convenience, use anywhere anytime. Cordless operation using a rechargeable and removable battery pack. Milwaukee Electric Tool has developed a new breed of rotary tool by leveraging its heritage in straight and die grinders. 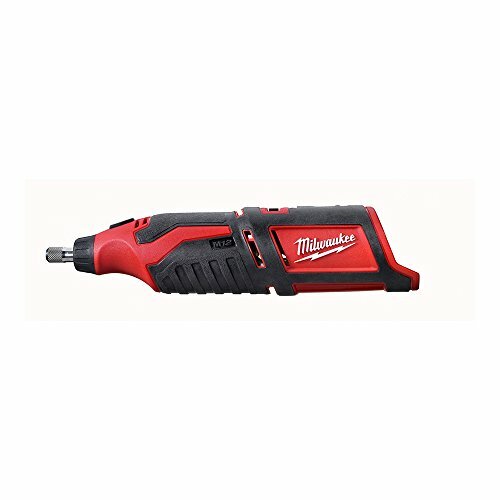 The M12 Cordless LITHIUM-ION Rotary Tool utilizes a powerful 12V motor and Milwaukee's REDLITHIUM Battery technology to produce increased run-time. The tool runs from 5,000-32,000 RPM and is managed by a variable speed dial for fluid control. The collet is completely compatible with all 1/32-inch -1/8-inch shank accessories. Hang the motor overhead and use the flexible shaft grinder to work your way around your work. The foot pedal controls the speed. 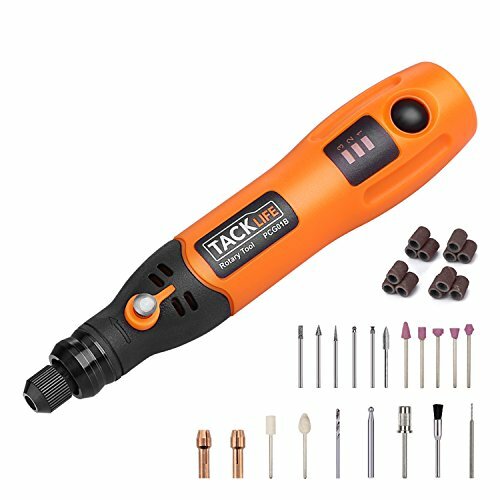 Tacklife PCG01B 3.7V Cordless Rechargeable rotary tool . Compact and lightweight: 7.16 inches long and 0.17 pounds. 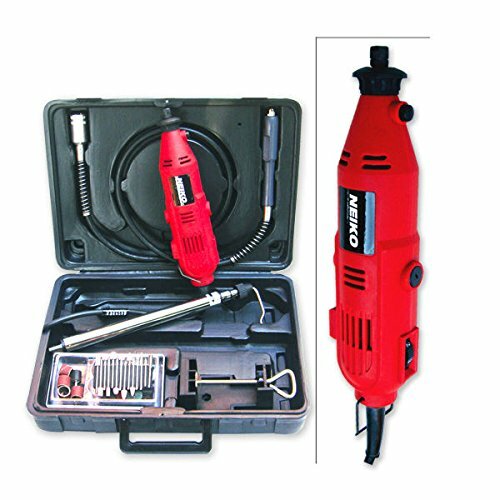 Small, compact and efficient rechargeable rotary tool. Rechargeable via supplied micro USB. One button for on/off and 3 levels of speed change, help you adjust as you work with different items. Collet size is 3/32”and 1/8", changes bits easily and fits in other suitable accessories. 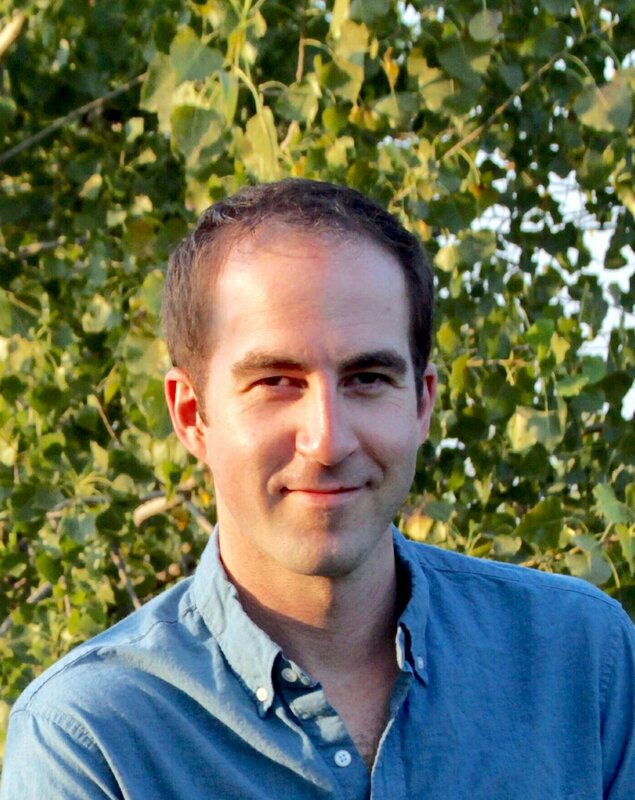 I hope this list of the best rotary tool was helpful.